Oregon mugshots– published on the internet– are a relatively new problem. While the pictures have been taken for years, it’s only in the last few years that they’ve been posted on the internet by commercial websites. 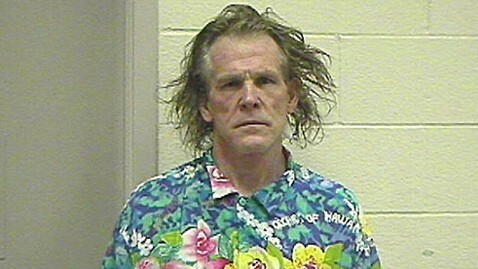 Most people probably remember the less-than-flattering mugshot of actor Nick Nolte (seen above) that was taken after he was arrested for Driving Under the Influence (DUI) on the Pacific Coast Highway near Los Angeles on September 11, 2002. Thankfully, most of us are not celebrities and therefore our failures are not published on the front page of newspapers or magazines. However, if you’ve Googled your name after an Oregon DUI arrest, after any other arrest, or after a “book & release” on any criminal charge, you’ve probably noticed that your mug shot and personal information has made it onto the internet. Over the last several years, many websites have popped up which feature mug shots from local police agencies or county jails. The websites are an easy money-maker for the unscrupulous individuals who run them. The websites are essentially fed by scripts or computer programs designed to automatically aggregate mug shots that are already publicly available on police agency websites or jail websites. In other words, the photos are already available publicly. The mug shot websites simply make the mug shots much more prominent on the internet with the intent of humiliating people who’ve been arrested, all in an attempt to make people more likely to want to pay a fee in the hopes that the photograph will be removed. How do I get my mugshot removed from Google? What’s the cheapest mugshot removal service? Is there free mugshot removal service? The short answer to all these questions is that there is no free removal service (at least, not one that’s reputable), and there is no guaranteed way to get your mugshot removed from either Google or the internet. Paying a cheap or even expensive service to attempt to remove the mugshot is a mistake. There is no guarantee that the photo will actually be removed, there is no guarantee the photo won’t simply pop up or remain on several other similar websites, and– in fact– paying money to attempt to remove the mugshot will only encourage other sites to attempt to extort even more money from you. While you may not be able to completely remove your mugshot from Google or the internet, you can take a few steps to make it less prominent. In the last few years, thankfully, Google changed it’s search algorithm so that search engine results page (SERP) do not feature mugshots as prominently as they once did. This means that if you simply Google your name, your mugshot may not come up at all, or may only come up on pages other than the first search engine results page. The easiest, cheapest, and quickest way to dilute the strength of the mugshot or push it down (or back further) in search engine results pages is to have more favorable pictures online. It’s a relatively simple solution. Consider that if the only picture you have of yourself on the internet is your mugshot, what is Google or any other search engine to show if your name is put into a search engine? The only photo of you online: Your mugshot. Select some of your favorite photos of yourself that are timeless and that you wouldn’t mind being on the internet forever (because everything online is “forever“). If you don’t have any good photos of yourself– or if you are a professional who has a preference for high-quality photos being published online– hire a professional photographer to do a photo shoot or portrait shoot with you. While this may seem extreme, the relatively low-cost of this solution is well worth the trouble and expense. If you don’t already have a LinkedIn, Facebook, Twitter, Instagram, Pinterest or other social media account, create one. Don’t use an alias, but rather your actual name. For example, don’t have your Facebook account name be “Starry Nights” or “Urban Cowboy” because search engines will not be able to find you if you use an alias. Upload and publish your selected photos online using your name and at least some geographic information. Again, don’t use an alias. 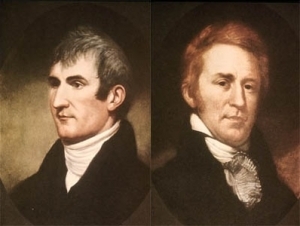 For example, name the file, “Meriwether-Lewis-Oregon.jpg” or “William-Clark-Oregon.jpg” as opposed to “OutdoorLover.jpg” If you don’t know how to name or upload files, ask a friend or your children to help you. Make sure to “tag” the photos with your full name and at least some geographic information. Again, do not use an alias. For example, tag the photo “Meriwether Lewis, Oregon” or “William Clark, Oregon.” If you don’t know how to tag photos, ask a friend or your children to help you. Make sure the settings on your account (at least for the photos) are set to “public” and not “private” settings so that search engines and anyone who searches for the photos can find them and see them. Upload as many photos as you like. Just make sure that they are photos you are comfortable having online, for the entire world to see, forever. No pressure, right? You won’t see results immediately from the suggestions above, but you will likely see results over a period of several weeks (as the “spiders,” “robots,” and “scripts” of search engines discover the photos and index them in their searches). On June 6, 2013, Former Governor John Kitzhaber signed House Bill 3467 (later codified as ORS 646A.806) Or Laws 2013, ch 330, § 1) which requires any person who owns or has control over a mug shot website to remove the mug shot if requested in writing and if the arrest resulted in acquittal or violation, or if the arrest/conviction was followed by an order to set aside or “expunction.” The written request must be supported by paper or electronic copies of official court records or law enforcement records. The law took effect January 1, 2014. So when will this new anti-mug shot law likely apply in DUI cases? When a driver is arrested and a booking photo is taken or when a driver is cited to appear in court and the judge orders a book and release and the case is never filed by the District Attorney’s Office. When a driver is arrested and a booking photo is taken or when a driver is cited to appear in court and the judge orders a book and release and the case is dismissed by the District Attorney’s Office (not as part of a DUI diversion, but because the DA’s office cannot or does not wish to proceed on the charge). When a driver is arrested and a booking photo is taken or when a driver is cited to appear in court and the judge orders a book and release and the case ends in an acquittal after a bench or jury trial. The laws concerning the setting aside arrests or convictions are complicated and this new anti-mug shot law is brand-new. If you have any questions about how these laws may apply to your specific situation, please contact our office.